Mrs. Annie Edson Taylor became the first woman to challenge the Niagara Falls in a barrel. 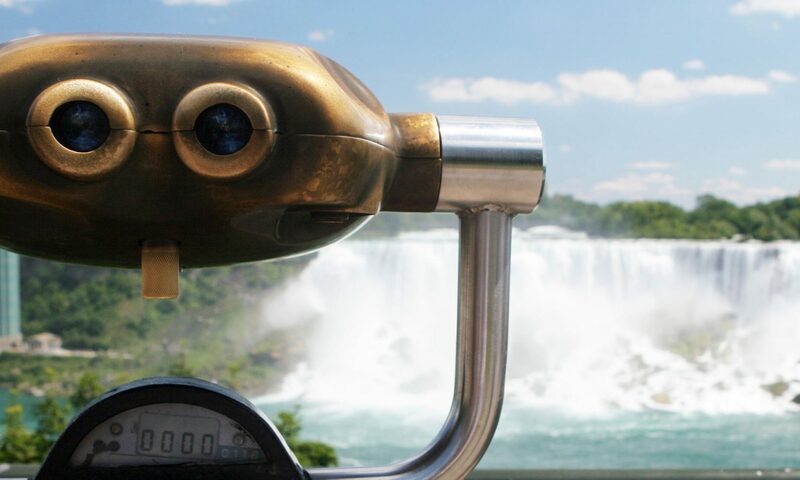 On October 24th 1901, her birthday, the 46 year old Taylor rode her barrel over Niagara Falls. She was a school teacher in Bay City, Michigan weighing 160 pounds. Annie Taylor had no previous experience as a daredevil before she came to Niagara Falls seeking fame and fortune. Taylor’s barrel was built with white Kentucky oak held together by seven iron hoops. It had a 56 cm diameter at the head, then widened to an 86 cm diameter in the middle and finished with a 38 cm diameter at the end. The barrel was 146 cm long and weighed 160 pounds. For ballast (which helps maintain a steady route for ships) a 100 – 200 pound anvil was placed in the barrels bottom. She began her trip from the north side of Grass Island, just off of the American side of the Niagara River and upstream of Goat Island. She was dressed in a long black dress and a flowery hat. About 183 metres from shore, Mrs. Taylor, with her famous heart shaped pillow, climbed into her barrel. The barrel was packed with padding and a small mattress and the lid was then screwed into place. At 4:05 p.m., when released, the barrel flowed toward the Canadian side and over the Horseshoe Falls. Mrs. Taylor successfully endured the trip without any major injuries (slight cuts and bruises only). It wasn’t until 4:40 p.m. that rescuers could get close enough to Taylor’s barrel along the Canadian shore to let her out. The top of Taylor’s barrel had to be cut away. When released from the barrel Mrs. Taylor said “nobody ought ever do that again”. Annie Edson Taylor was famous for a short time but the fortune she sought eluded her. She lost most of her fortune in the hiring of private detectives to find her barrel after her manager disappeared with it. Following her record feat, Taylor managed a decent living by posing for photographs. In today’s culture references made to her feat can be found in various poems, music and television.